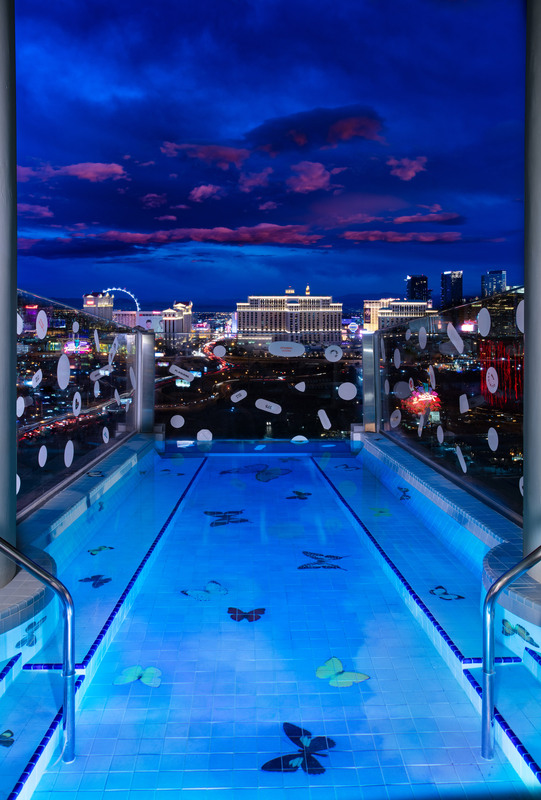 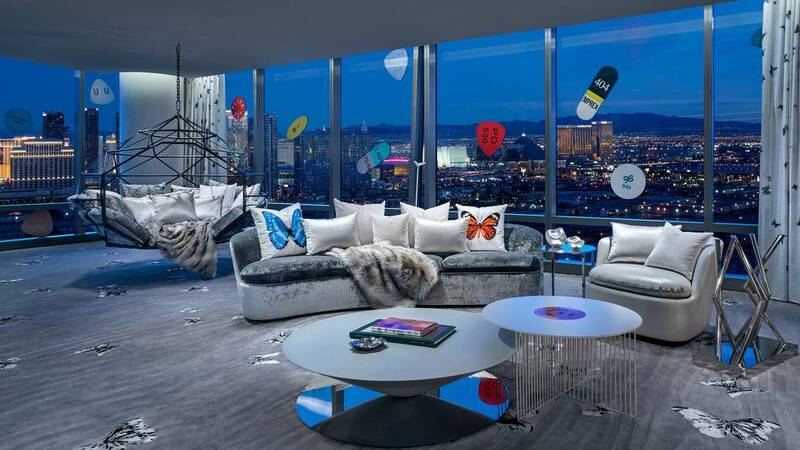 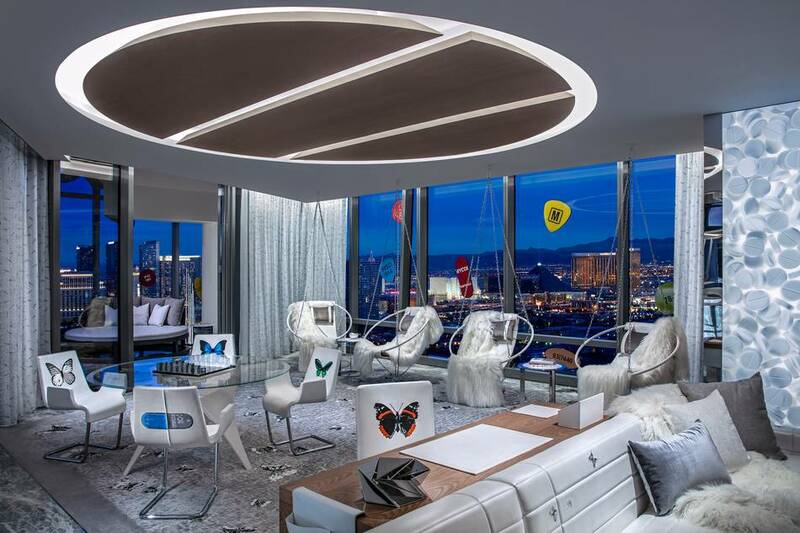 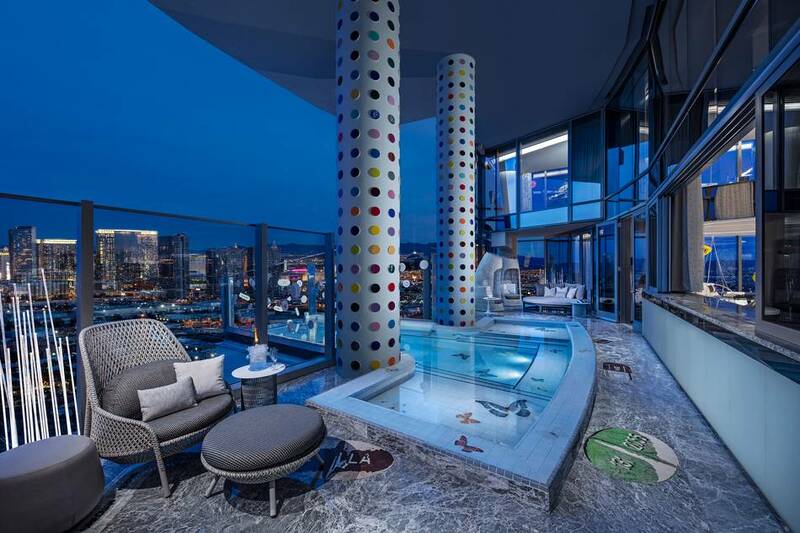 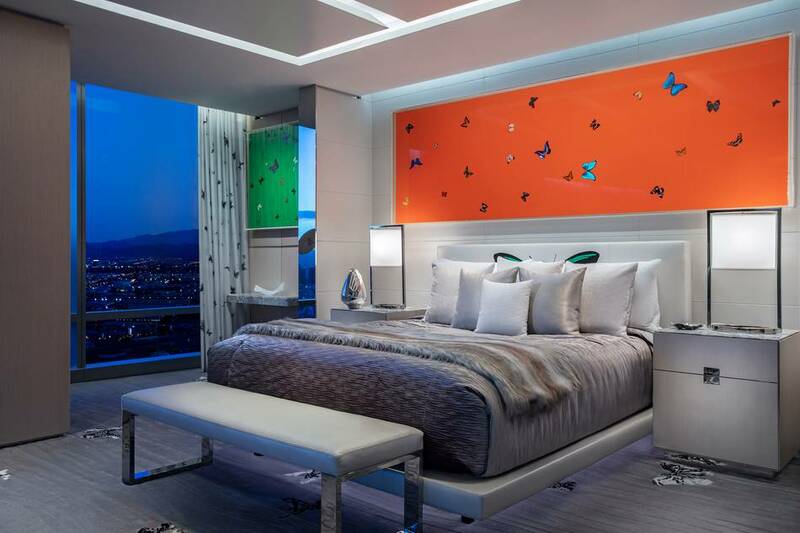 The Palms Casino resort in Las Vegas has unveiled what is the most expensive hotel suite stay in the world, with the two-storey Empathy Suite designed by Damien Hirst. 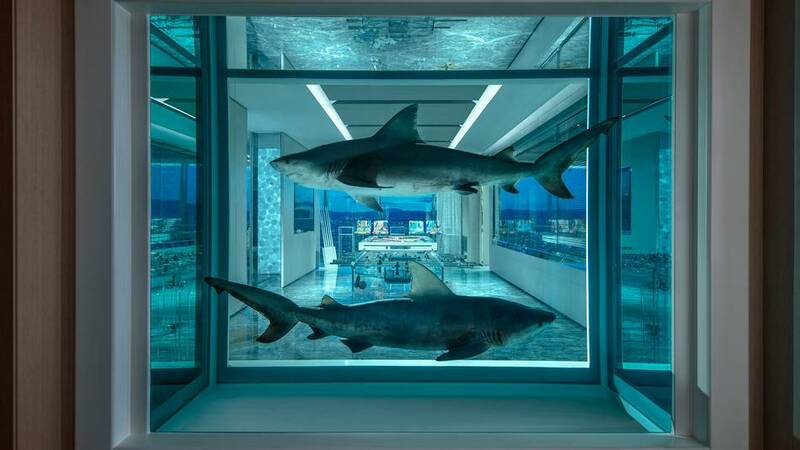 Six of the Hirst's artworks feature in the accommodation, including Winner/Loser, which sees two bull sharks suspended in formaldehyde in a tank. 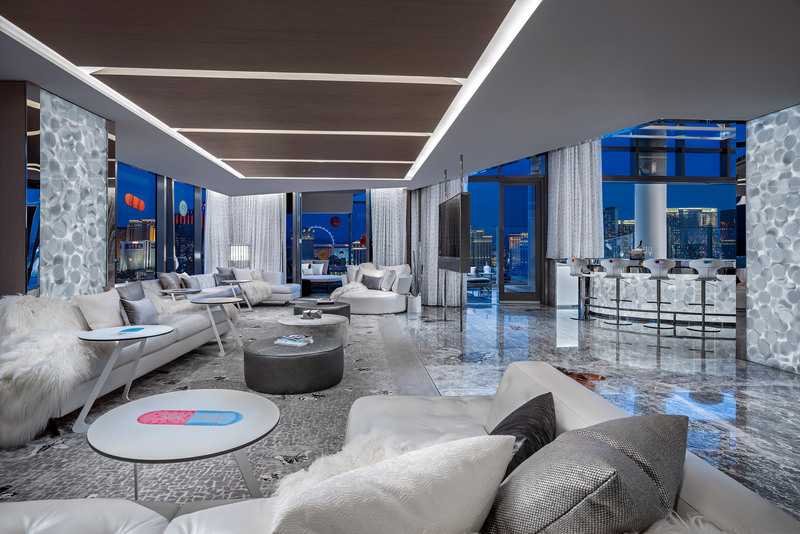 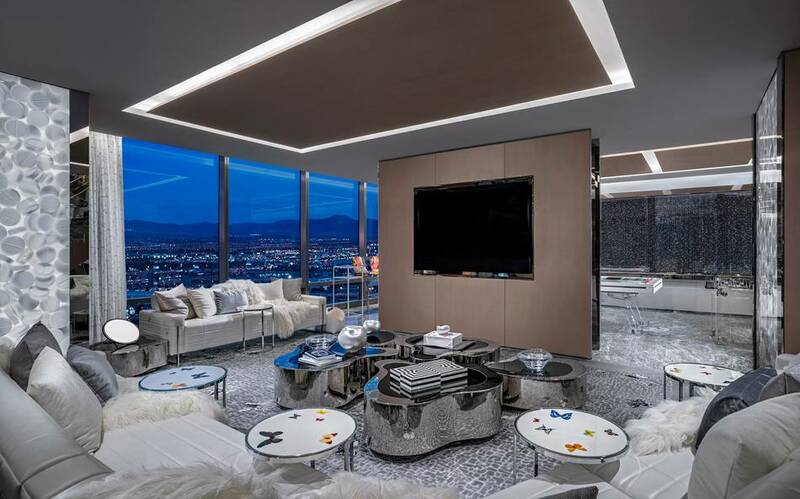 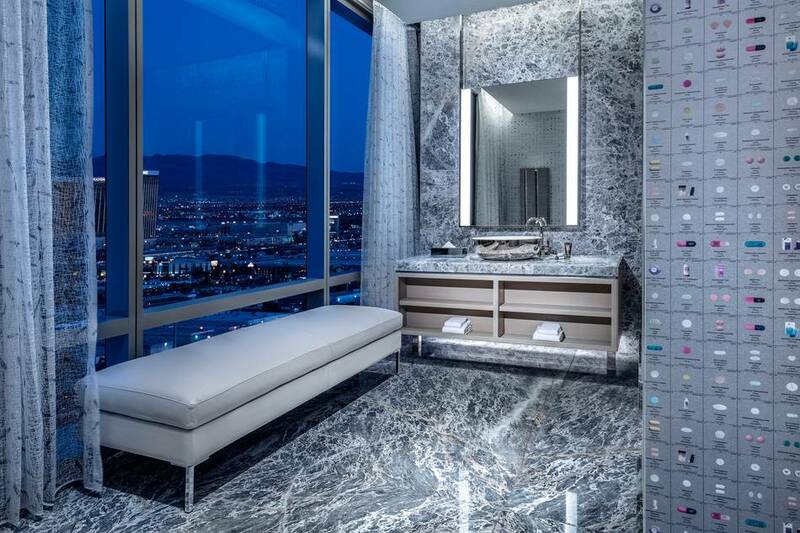 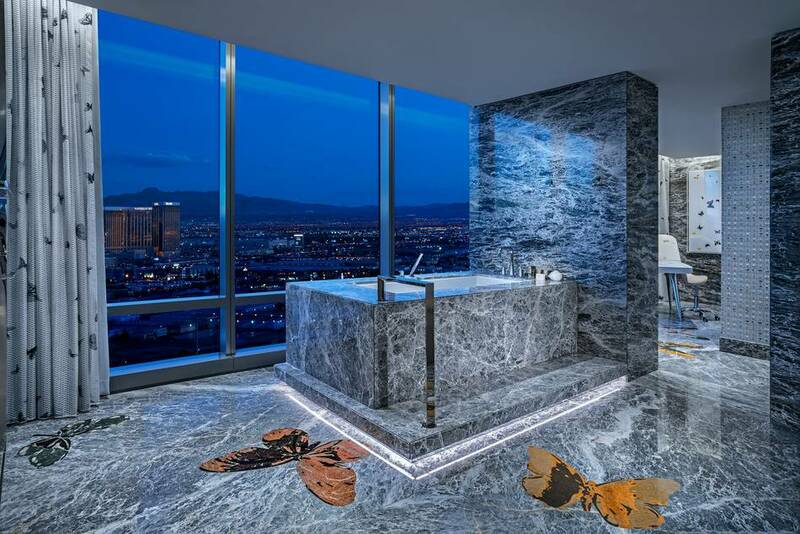 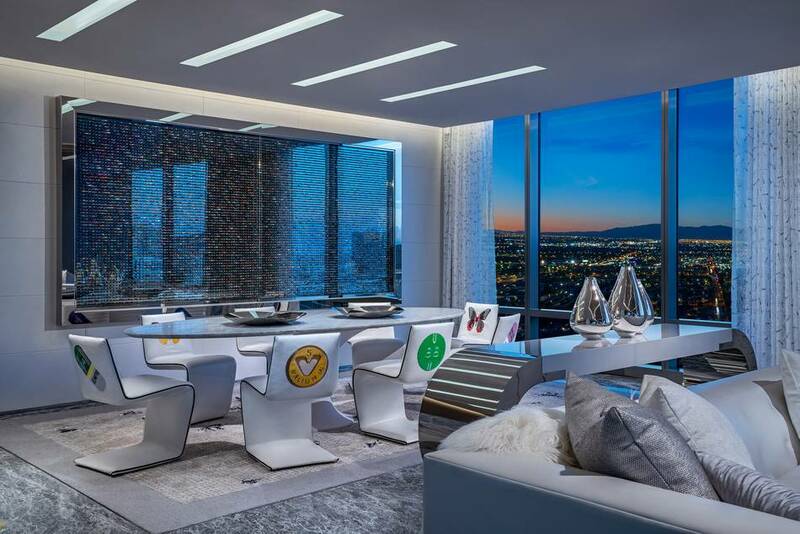 The two-bedroom suite spans 840 sqm features a pool and outdoor terrace overlooking the Las Vegas Strip, as well as furniture and textiles using some of Hirst’s signature designs and motifs, including a medicine cabinet filled with diamonds. 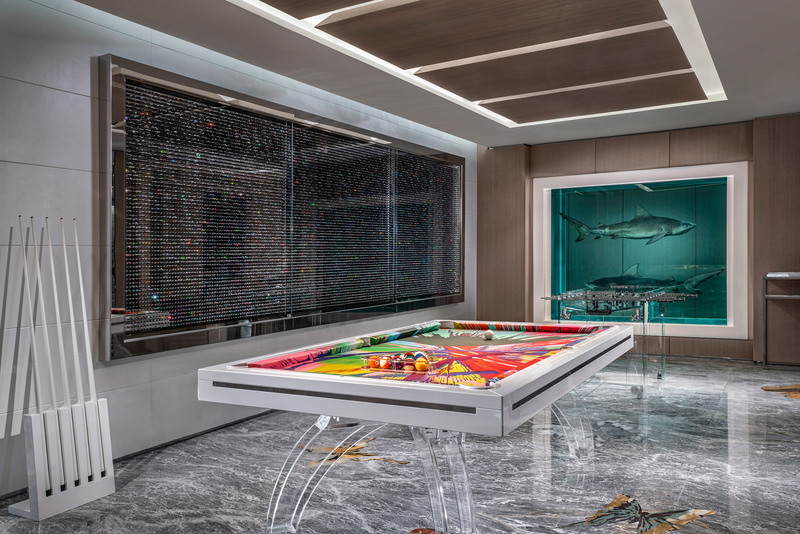 There is also a 13-seat bar and two lounge areas, accommodating up to 52 guests, all featuring Hirst-designed furniture and furnishings. 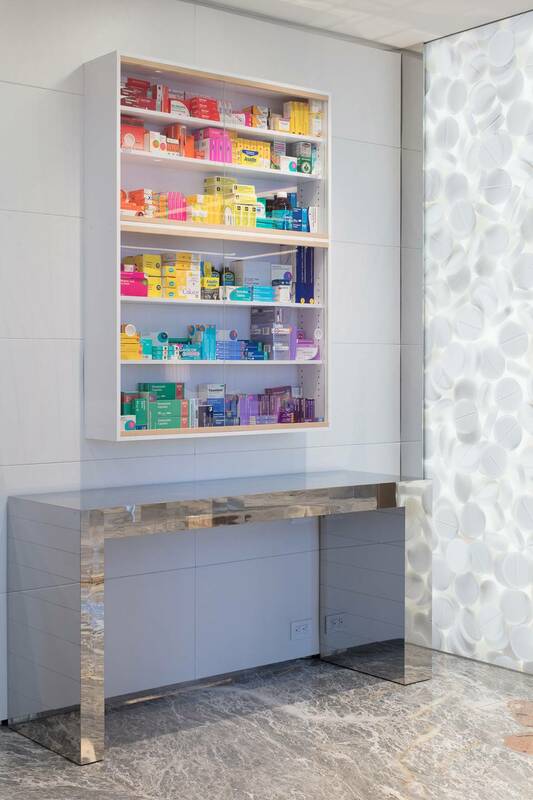 Other facilities include a private healing salt room, two massage rooms and a fitness room. 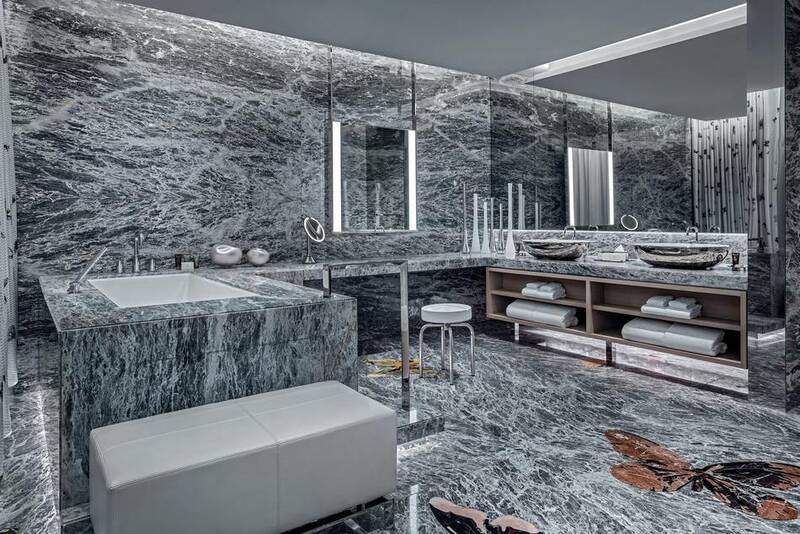 Guests also receive 24-hour butler service and a chauffeur car service during their stay. 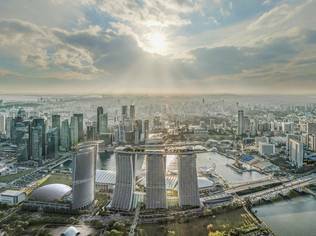 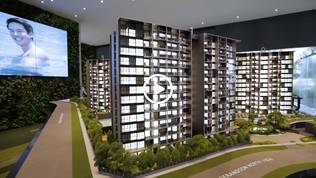 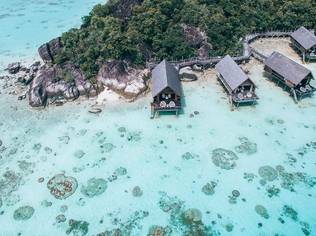 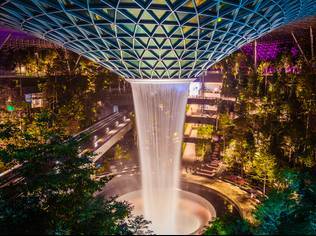 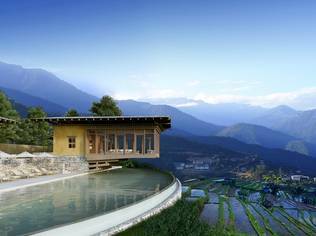 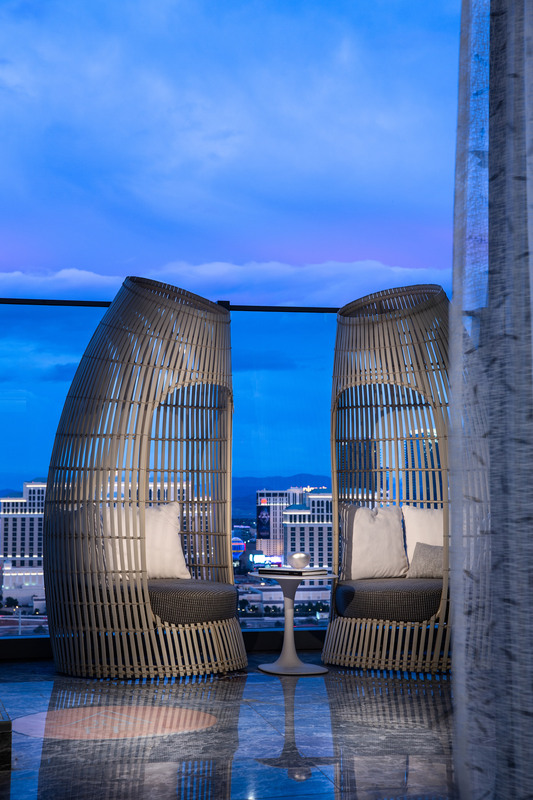 The Empathy Suite joins the resort’s other five Sky Villas, all of which have been designed by Bentel & Bentel Architects. 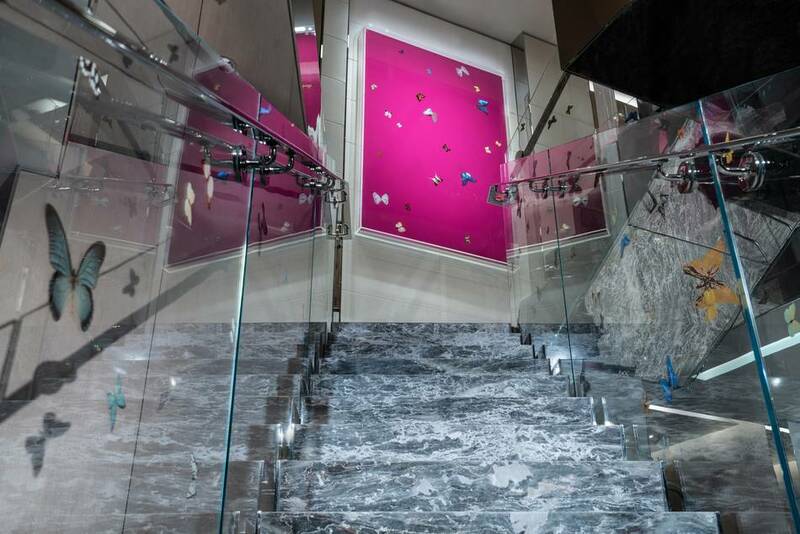 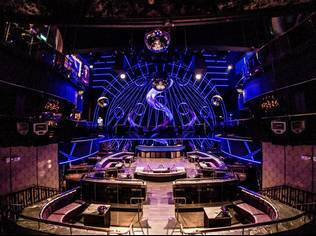 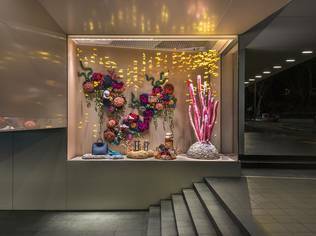 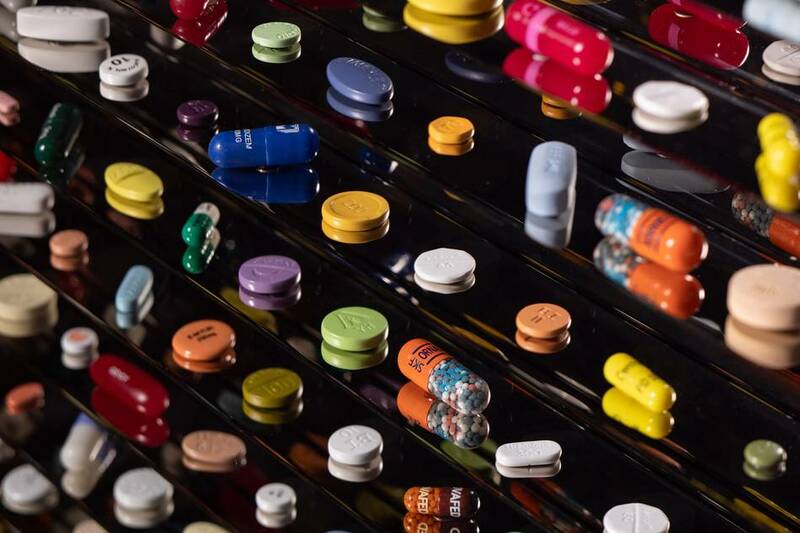 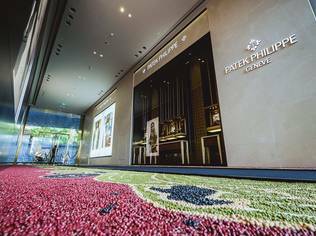 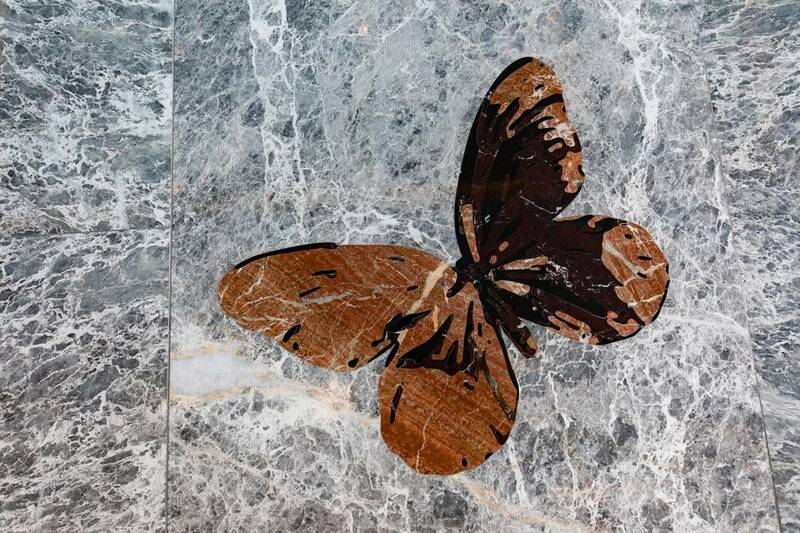 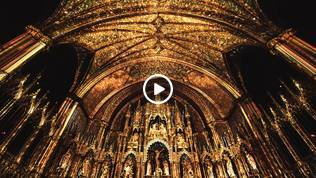 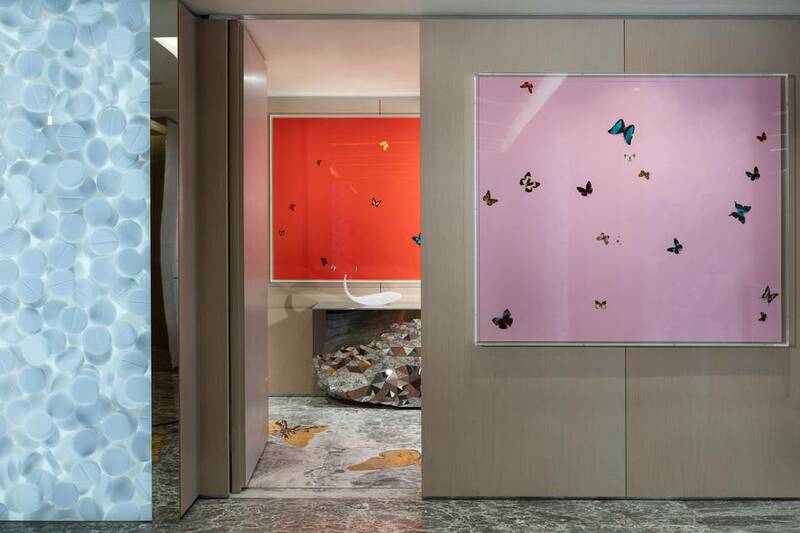 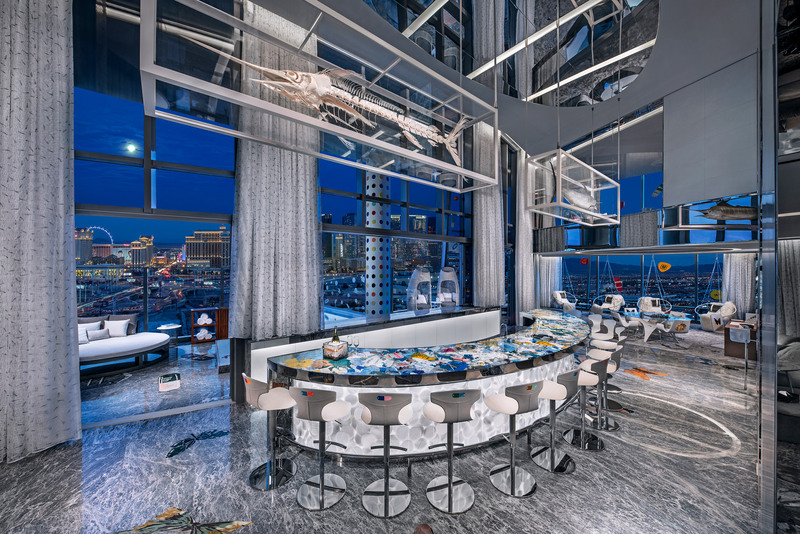 Jon Gray, general manager of Palms Casino Resort, added "The Empathy Suite designed by Damien Hirst is the pinnacle of luxury combining museum-worthy art and a truly legendary hospitality experience."